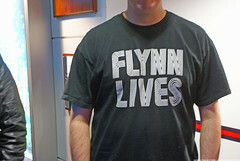 On entry to the IMAX we each got a Flynn Lives T-Shirt. Apparently there is a code hidden on one? of the shirts that may be revealed under a black light. The code should be entered over here > http://www.flynnlives.com/derez/ .Please check peeps. I'm guessing that the 5 fields correspond to the 5 cities that the trailer is screening in and once the codes have been entered the trailer will be available for all. My memory may be a bit sketchy as the trailer was over before my synapse could process the aural and visual stimulus before me and I'm writing this after passing by the Secret Banksy Cinema, the entrance to the disused tube station used in Die Another Day and a walk along the river. If you are unfamiliar with Tron below is a synopsis (adapted from Daniel Williamson's) of the original 1982 classic Tron. Also it's probably worth noting that Tron was as much of a game changer in it's day as Avatar is today (without the global success) as it was one of the first films from a major studio to use computer graphics extensively. Kevin Flynn (Jeff Bridges) was one of the top programmers at ENCOM. After being let go under dubious circumstances he finds himself running a games arcade - Flynn's Arcade. Flynn has been trying to hack into ENCOM's mainframe computer to find evidence that ENCOM's senior executive Ed Dillinger stole four video games he created. The huge ongoing success of these games ensured ENCOM's success and fuelled Dillinger's rise to the top. But Dillinger's supercomputer "Master Control Program" foils Flynn's efforts and dictates and controls most of the computer systems. 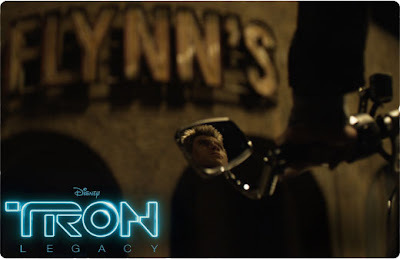 One night, Flynn's former girlfriend Lora and her boyfriend, ace computer programmer Alan Bradley helps Flynn break into ENCOM to shut down the MCP with Alan's security program "TRON". But the MCP uses Lora's matter transmission program and converts Flynn into data and sends him into the computer. Flynn finds himself in a electronic world ruled by the MCP and his evil chief henchman Sark, where computer programs are the alter-egos of their creators and are forced to compete in gladiatorial games. 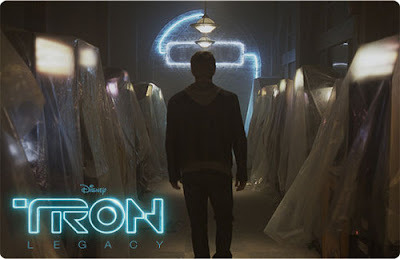 With help from Tron, a heroic and fearless security program and his lover, Yori, Flynn sets out destroy the MCP and help Tron liberate the system from the MCP's control, by destroying the MCP is Flynn's only way of returning to the real world. Before you read the trailer breakdown watch the TRON: Evolution trailer below. It gives a really good feel for the new world of Tron. The Lightcycles and Recognizer ships are very similar to the Tron Legacy vehicles. I should mention that there were no sightings of the yellow suited villain and the Tron suits in the Legacy are way better. My narrative may be stilted as I am dashing this down and may not convey the superb sound quality and visual spectacle that made this trailer awesome. The screen lights up (not using the full towering height of the IMAX). 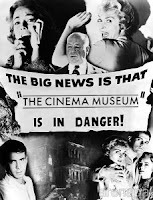 What follows is 150 seconds of cinema that is going to be the next biggest thing. We open on the 3D logo of Walt Disney that derezs into a 2D modern day LA and moves quickly into a discussion between a now older Alan Bradley (Bruce Boxleitner) (http://encominternational.com/people.htm) from the original Tron and a edgy/gritty Sam Flynn (Garrett Hedlund) think James Franco without the pot. Alan Bradley: I told you if I ever heard anything about what happened to your father, I would let you know. Something weird happened yesterday, I received a mysterious call. The call came from your father's office above his arcade, a number that has been unused/disconnected for 20/25 years. Sam Flynn: He's been missing for 20/25 years It's like you think I'm going to get there and find him working frantically on his computer saying something like "Sorry kiddo I've been working late". Alan Bradley: Your father wouldn't have just left he called me 2 days before he disappeared to tell me he was working on something, something that would change computers, economics, religion, the world everything. Something happened to him. Cut to Sam Flynn getting onto what looked like a Ducati motorbike. Some sort of quick chase on "LA" highways ending with Sam pulling off a jump into an exit road like an 80s BMX'er. OK! So we know that Sam Flynn can handle a bike in the real world. That will probably be handy later on. Sam arrives at a dilapidated Flynn's Arcade. Walking around on the interior we see a dusty arcade, games under dust covers. This is a pretty faithful re-creation of the original Flynn's Arcade. Sam fiddling with an arcade game and a slo-mo of a token falling out of the coin mechanism on the floor with a clink. More looking around. Ending on a lone arcade game away from the others. After some checking and fiddling the Arcade game comes away from the wall on a hinge. Much the set up (but in much higher quality and cooler) as the San Diego Tron event a while back. Click the image below for the video. The game comes away from the wall revealing a secret room. We see Sam Flynn looking around and finding what looks like his fathers old a secret room/office, computer turning on, etc, and entering a code/IP Address 200..
a voice-over of Sam saying: "Dad is that you? 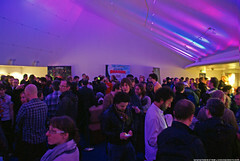 You've been gone along time" or "it's been a long time" Kevin Flynn responding : "Yea, you have no idea", a scene of Tron warriors lining up for some sort of face off including a young Clu (Kevin Flynn's Tron alter ego) - this echoes the previous VFX footage and a lightcycle contest from eye level and arcade POV from above, zipping and glass shattering smashes. At this point Sam comes to the end of the tunnel and I think there was a voice over "Welcome to the Pitcell". 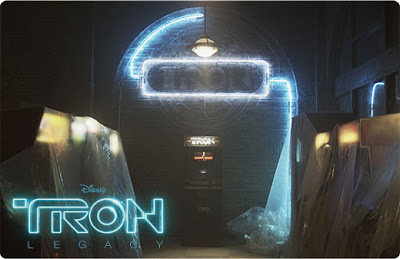 Tron Legacy titles rez up. Avatar may have changed the game but Tron has the benefit of moving ahead unhindered by the barrier that Avatar had to steam roll. The trailer was way too short and we should have got another screening.But Disney are obviously employing the first taste is free, treat them mean and keep them keen tactic. 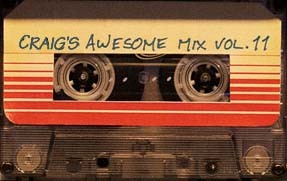 I don't recall any Daft Punk sounding music. What do you remember, have I missed anything, have I added stuff, what are your thoughts? Please leave comments below. I'm off to check my 2 T-Shirts under a make do blue light. 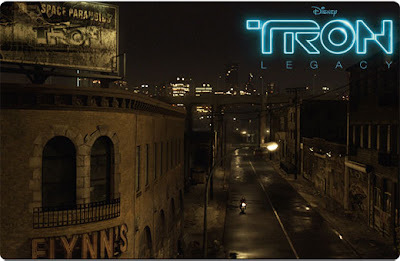 Tron: Legacy trailer breakdown from the first screening. Hey Flickdude, sorry I missed your comment and thanks for taking time to read my post. Stay well.